Our skilled and caring nurses guide patients through each office visit. During a patient's first visit, the nurses take a very detailed medical history. On follow-up visits, they thoroughly document the patient's experiences since their previous visit. In addition, they will also carefully and compassionately perform any tests that may need to be done to analyze a patient's asthma or allergies. After one of our Providers has seen the patient and made recommendations, the nurses return to provide education about the medications that have been prescribed and answer any remaining questions that the patient may have. 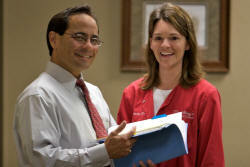 Our nurses come from a variety of medical backgrounds and experience. All of them are Registered Nurses and most of them have previous experience working in a hospital setting, including the emergency room, the neonatal intensive care unit, the orthopedics department, and other hospital divisions. 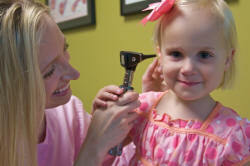 They all take great pride in offering compassionate and advanced medical care to our patients. 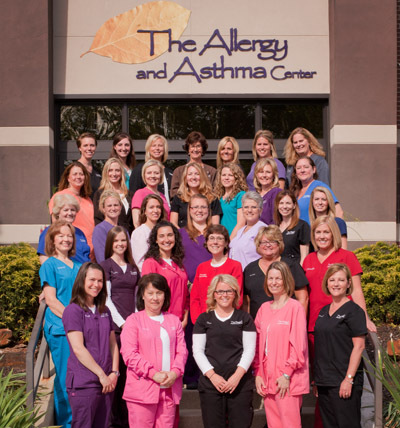 When our patients have questions about their medications, need medical advice about their allergy or asthma condition(s), or are not feeling well, they can call our office and speak with one of our nurses or leave a message for one of our nurses to return a call. In most cases, a nurse returns their call within two hours, and almost always within 24 hours. Of course, emergencies receive immediate attention. 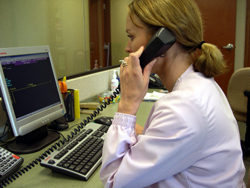 On the phone, our nurses have the same caring attitude and attention to detail that they demonstrate in the office.